My Home and Garden: A good day in the garden. Bright Lights Swiss Chard. So beautiful in the sun. What to do, what to do. It was sunny, and warm, and....yes there was gardening to do. 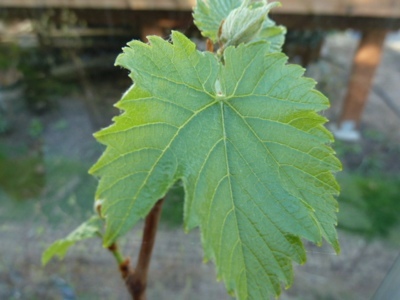 This is a grape that I started from a cutting. Thank you Karen. 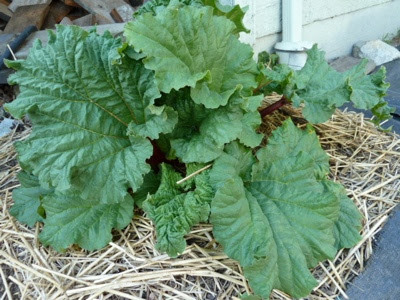 The rhubarb is growing every day. 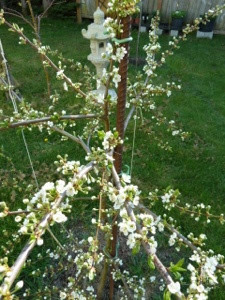 The plum tree started to blossom today. Oh spring!! Nothing quite like it. 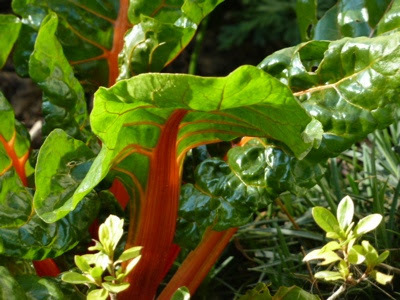 Your rhubarb looks so great. Ours is just nudging out of the ground.